Due to the poor condition of the country, it is very difficult to get access to clean water source, which led to this outbreak. As a result, we suggest to include this outbreak in the Emergency Meditation at 2 PM UTC. You can visualize the situation of cholera outbreak easing up or receding and people regaining access to clean water sources. You can also visualize the war situation at Yemen ending completely and people having a peaceful new life with the support and assistance they require to rebuild the war torn country. As reported on the blog previously, there have been regular attacks on Palestine by Israel. The situation there is still ongoing. And there are reports that the Israeli forces are killing Palestinian children deliberately. Therefore, it is also important to keep visualizing the situation improving in the Emergency Meditation so that the attacks on Palestine can end and both Israel and Palestine resolve the conflict in the best possible way. On Sunday, October 7th, Brazil will hold a general election to elect the President, Vice President and the National Congress, as well as regional governors, state Legislative Assemblies and Federal District Legislative Chamber. There have been a number of conflicts and protests against key presidential candidates of this election. We suggest doing a mass meditation on the day at 4 PM UTC to ensure the election proceeds as peacefully as possible and that the free will of the Brazilian people is respected. 1. Bring yourself to a relaxed state by taking slow deep breaths for a few minutes. 2. Visualize a beam of Light emanating from your Soul Star chakra (8 inches, 20 cm above your head). 3. Visualize yourself connecting to all people meditating and connecting to the Earth Light Grid with this Light emanating from your Soul Star chakra. 4. Visualize the people of Brazil having a peaceful election and using their free will to select the new president, national congress and governors. Visualize the election results reflecting the free will of the Brazilian people. Visualize their new congress and president bringing unity, peace, abundance, freedom, love, and harmony to the country. 5. Visualize the region anchoring more Light and that the Goddess presence in Brazil increases. 6. Visualize the Goddess presence expanding and covering the whole country - healing South America and then expanding even more to heal the whole world. 7. Visualize the Goddess presence anchoring itself permanently in Brazil. Please join this meditation if you feel so guided. The next New Moon Peace meditation will be held on Tuesday, October 9th at 2:45 PM UTC. The astrology of this new moon makes it a good opportunity to focus on inner work. And as described by Untwine it is a good day "for retreating from the external world, and going far and deep within, into the universal Ocean of Love, where all can be released and renewed." "The energy of planet Venus is leading this inner work as she is about to go retrograde on October 5th, which will last for 40 days until November 16th. This is a powerful time of rebirth, which starts a new Venus cycle of 19 months, known as the Venus synodic cycle." Please join this new moon peace meditation and help ground the Goddess energy from Venus to Earth if you feel so guided. As the clearing of dark forces and progress towards planetary liberation intensify, we have entered a period of increased tectonic activities. On the other hand, the situations in Middle East remains critical, as seen from the sections for Yemen and Palestine above. 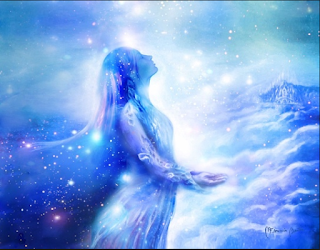 These conflicts, along with the situation in Syria, are disrupting the flow of Goddess energy throughout the planet. Therefore, it is very important that as many people as possible do the two Goddess meditations as often as possible, which are the Goddess Vortex meditation and Return of the Goddess meditation. This blog has been organizing daily Goddess meditations at 2:30 PM UTC, so please join us and help anchoring the Goddess presence if you feel so guided. During this critical period of planetary liberation, there have been increased attacks against Lightworkers around the world. As suggested by Untwine previously, in order to strengthen the Light grid around the planet, as well as strengthen the protection and harmony among Lightworkers, we can form triangle groups which will be connected together energetically at the Soul level. By doing this meditation regularly, energetic support can be provided to/received from our fellow Lightworkers. You can find the instructions of forming a triangle group of Light in the link above, as well as the instructions of the meditation. We have organized a Facebook event for this meditation, which is held every Wednesday at 6:30 PM UTC. However, please feel free to do this meditation with your group more frequently and at any other time if you wish.